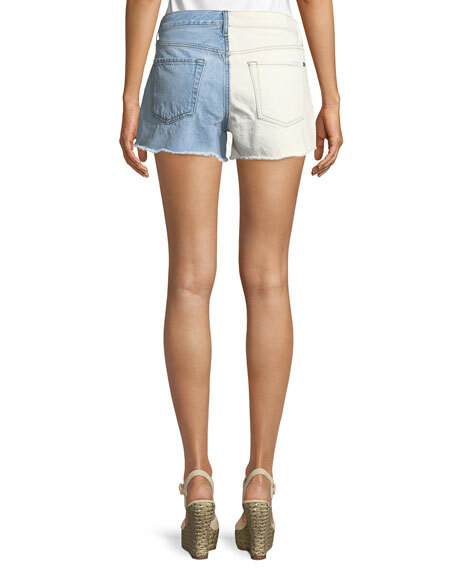 7 For All Mankind shorts in light-wash rigid denim with hand-painted daisy-print. Approx. measurements: 8" rise; 2.5" inseam; 13" back rise. Contrast colored threads and silvertone hardware. 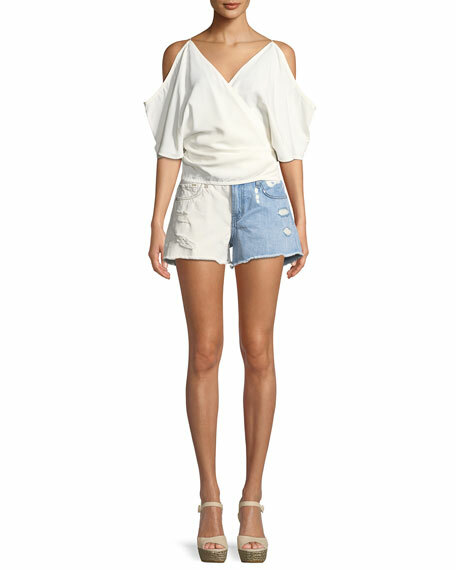 For in-store inquiries, use sku #2539969.